Hundreds of Ethiopians have been killed by their government this year. Hundreds. 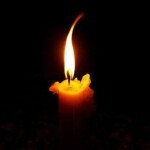 You might not have known because casualty numbers have been played down; “evil forces” and accidents are blamed rather than the soldiers that fired the bullets; we are even deprived of the ability to fully grasp the situation because journalists are not allowed to report on it and the Internet is periodically shut down by the government. 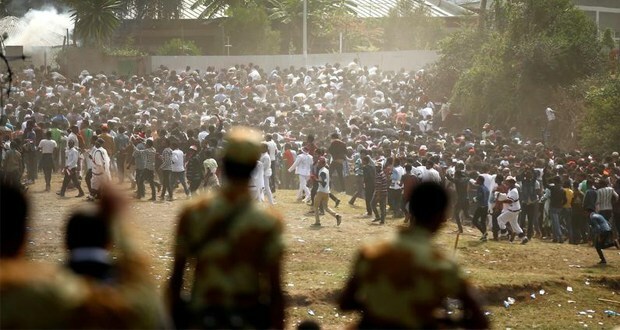 (In fact, last week Ethiopia finally admitted to the deaths of more than 500 anti-government protestors. Protesters insist that more people have died.) Whatever we make of the government’s prevarication, the Irreechaa Massacre that took place at the beginning of this month was a point of no return. Irreechaa is a sacred holiday celebrated by the Oromo people, when several thousands gather annually at the banks of Lake Hora Arasadi in the town of Bishoftu to give thanks. At this year’s Irreechaa celebration, a peaceful protest broke out after government officials tried to control who was allowed to speak at the large gathering. What happened next is unpardonable. Video footage shows government forces shooting tear gas and live ammunition into the crowd. Panic erupts. Women, children and men who had come to celebrate flee for safety but many are trampled on, drown and fall to their deaths. The government claims only 55 were killed in the incident. Non-governmental sources, however, put that figure at over 300. Mainstream media has conveniently portrayed the cause of the tragedy as a stampede yet simple logic refutes this. “When you fire on a crowd of 3 million close to a cliff and adjacent to a lake, causing mayhem, that is not a stampede. It is a massacre,” says Dr. Awol Allo, a law lecturer at Keele University in the United Kingdom. Frustrations and grievances in Ethiopia have been growing for years. In 2014, protests began over the Master Plan to expand the capital Addis Ababa into Oromia Region. This was just the spark. 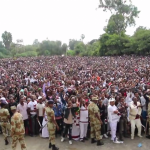 Though the Master Plan has been abandoned for now, thousands of people across Oromia and more recently Amhara regions have continued to protest against the government. Their demands are fairly basic: human rights, an end to authoritarian rule, equal treatment of all ethnic groups, and restoration of ancestral lands that have been snatched and sold oftentimes under the guise of development. The government’s brutal response has only added fuel to the fire. 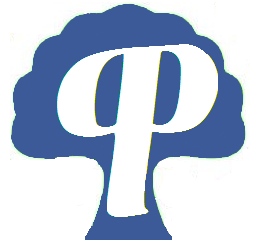 Irreechaa is the most recent example of this. Within days of the massacre a wave of anti-government protests erupted across the country, mostly in the Oromia Region. People are coming out in larger and larger numbers. Fear is dissipating and giving way to determination. Many activists believe it is too late for reconciliation — that “the opportunity for dialogue was closed withIreechaa”. No one is to blame for this but the government itself. The EPRDF government in Ethiopia has been tragically recalcitrant and short-sighted in dealing with the legitimate concerns of its citizens. Externally it has touted its success in maintaining stability and spurring double digit economic growth rates as a source of legitimacy, while internally it shoved itself into the seat of power by eradicating any form of real opposition. But anyone who has been to Ethiopia knows precisely well that the image of “Africa’s rising star” is only a façade, which tries to cover up deep rooted social and economic inequalities, abject poverty and human suffering, ethnic patronage and corruption, and a weak economy that is overly reliant on foreign investment. In short, the political, economic and social situation in Ethiopia today is not, by any stretch of the imagination, stable, despite what the EPRDF’s self-interested allies like the United States would like to believe. Over the years, various groups that have tried many ways to peacefully seek change in Ethiopia. In 2005, opposition groups tried to compete in elections. When they almost won, they were arrested and exiled. In 2012 Muslims across the country peacefully demonstrated for more liberties and autonomy. As their movement gained momentum, many of their leaders were labeled as terrorists and sent to prison. In 2014, Oromos began to protest against the government’s ill-conceived Master Plan and are now paying the price. Throughout this period, countless activists, journalists and students have been arrested, numerous independent media outlets have been shut down, and the space for civil society groups has shrunk almost to the point of nonexistence. The great Frantz Fanon explained that, “we revolt simply because, for many reasons, we can no longer breathe.” In Ethiopia, the government’s actions have left many people with no other option but to fight. It is a country that has experienced much civil violence in the past, and is reluctant to return to it. However, the people’s patience is limited. Already, protestors are beginning to take more desperate measures. Some have torched foreign companies to send a message to the government and its foreign investors that their concerns and frustrations can no longer be brushed aside. From Eritrea,Dr. Berhanu Nega — who once ran as part of an opposition party in the 2005 elections — is preparing for a full-fledged guerilla war. Posted by cybereth on Oct 25 2016. Filed under News, Views and Opinions. You can follow any responses to this entry through the RSS 2.0. Both comments and pings are currently closed.